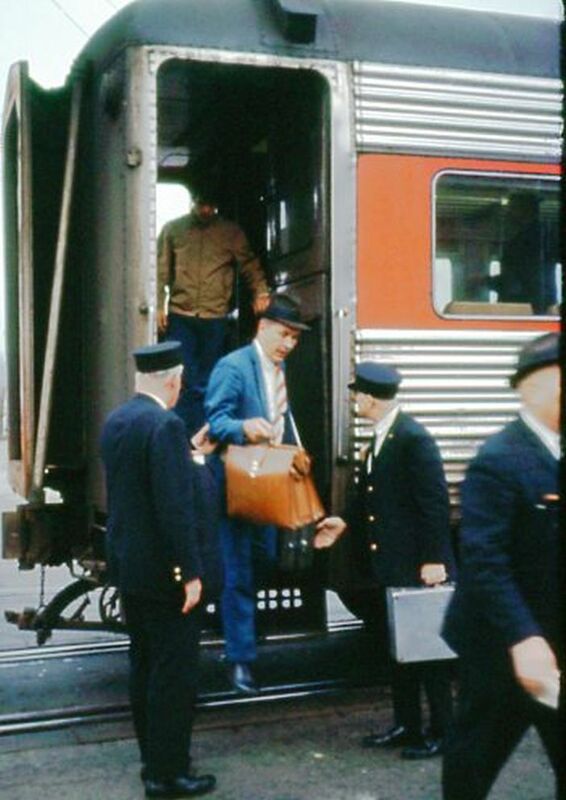 The New Haven, now Penn Central had some local service between New Haven and New London. Judging by the attention and sharpness of the train crew, I would like to think that this one car train had some important regular businessmen aboard who were referred to by the crew as "Mr._____ ". The passengers could have been connecting here to the ferries to Long Island or Fisher's Island. I am sure, however, this job only went to the railroaders with a lot of seniority. Photographed by Ron DeFilippo, 1970.